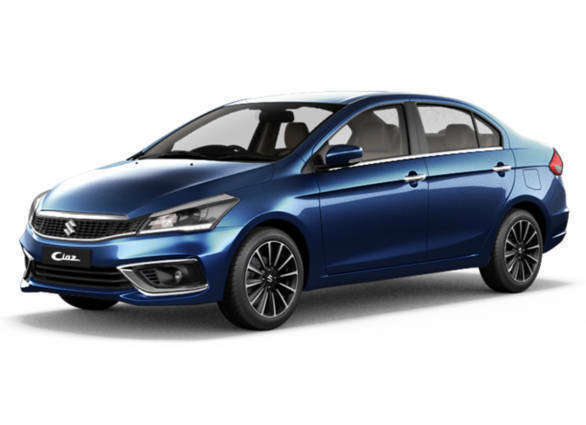 Maruti Suzuki has issued a recall for its recently launched Maruti Suzuki Ciaz facelift. The company is calling this a proactive service campaign and assures there are no safety concerns with the affected cars. The cars are being recalled to replace the speedometer assembly and the owners' manual. This is being done on the diesel powered Alpha and Zeta for the cars manufactured between August 1 and September 21, 2018. The number of cars affected amount to 880. This service campaign began on October 29. The company has created a special page on its website for this purpose. Owners of the new facilitated Ciaz can enter their cars' vehicle identification number to check if it is affected by the issue. The replacement is being done free of cost at the company's service centre. The facelifted Ciaz launched in India on August 20. Maruti Suzuki Ciaz facelift features the 1.5-litre petrol motor also seen on the Indonesian-spec new generation Suzuki Ertiga. This new K15B motor puts out 104PS and 138Nm, increases of 13PS and 8Nm over the earlier car. The 1.3-litre FCA-sourced diesel motor carries over unchanged, This is an inline four-cylinder turbo diesel which makes 90PS/200Nm. The Ciaz has also received a host of cosmetic and safety upgrades with this revamp. Prices for the new Ciaz start at Rs 8.19 lakh for the base Sigma petrol and goes up to Rs 10.97 lakh for the Alpha diesel and petrol AT variants. All prices are ex-showroom India.